but one that i fought very hard for. you can follow along over on IG. 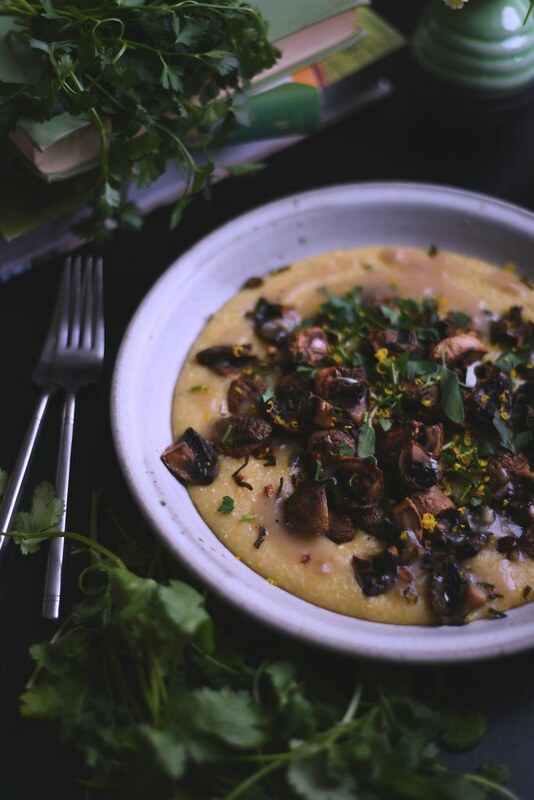 *note: i have made ottolenghi’s mushroom and herb polenta, sans the cheese, and it’s delicious. but rather than frying the shrooms i wanted to try roasting them. enter america’s test kitchen with their scientific brine action. this entire dish was all about prepping and getting the mise en place in place, but once that was all done, it was quick to throw together. **note: rather than grate parmesan over top the entire dish, i made a smoked egg yolk bottarga, that might be my new fave ingredient. in big bowl combine the salt and water. stir to mix. add in the cut mushrooms and keep them submerged with a heavy plate. ignore for 15 minutes. remove mushroom from brine and dry on kitchen towel. clean and dry the bowl that had the brine water. in that bowl add in the oil, minced garlic and herbs. toss the brined mushrooms in the bowl and then spread out in a single layer on a baking sheet. roast for 30 minutes. they will shrink down significantly, fyi. *fyi: an alternative way: roast the mushrooms, without the herbs and garlic but coated in olive oil immediately after dried from brine. roast for 20 minutes, remove from oven and then toss with the herbs and garlic with another drizzle of olive oil. roast for remaining 10 minutes. on serving platter or in a bowl, pour the creamy polenta. 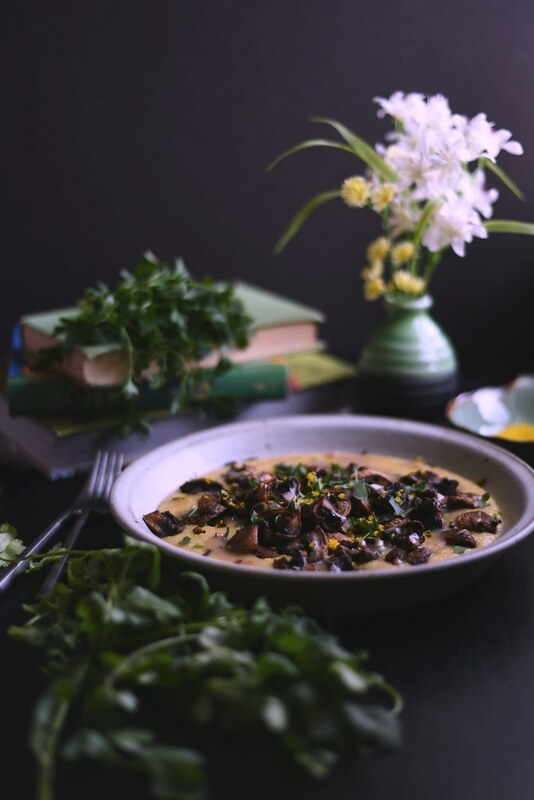 top with the roasted mushrooms, get as much of the herbs and garlic goodness as possible. grate the egg yolk bottarga or parmesan cheese over top and garnish with the chopped parsley. serve immediately. 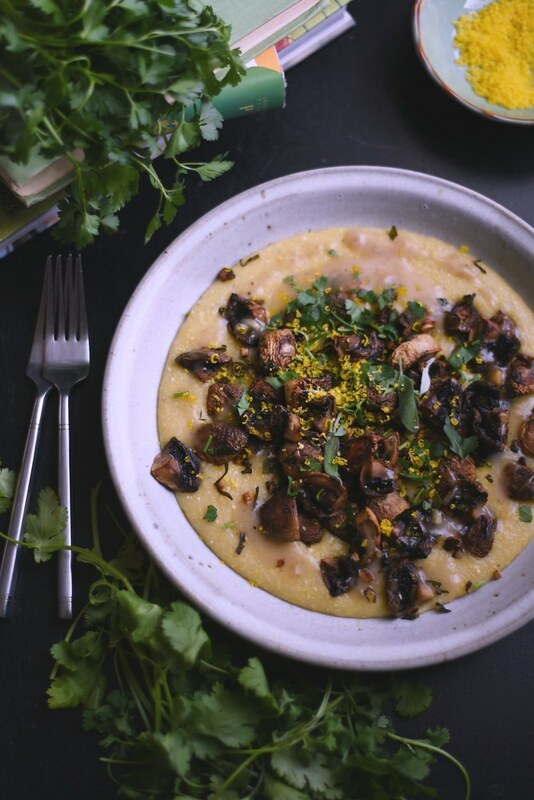 thank you, the mushrooms really are a great complement to the creamy polenta. Egg yolk bottarga has been on my list of things to make so thank you for the reminder to try to make it! M’s going to be traveling in the next few weeks and I feel like this dish is something to put on my list to make for myself because it looks readiy scalable. yes to egg yolk bottarga! it’s so easy to make, even though it’s a week long process. 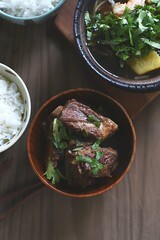 this is a very scalable recipe, thought having leftovers is not a bad thing!